TNC New Media, organizers of the Podcast and New Media Expo, taking place September 28-30 in Ontario, California, have announced their plans to move the 2008 show to Las Vegas. 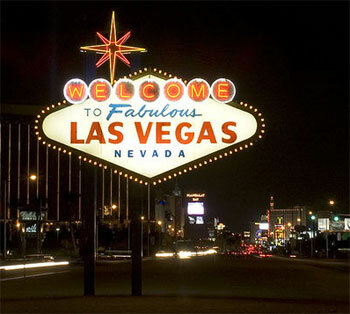 The 4th Annual convention will take place on August 14-16, 2008 at the Las Vegas Convention Center. The Podcast & New Media Expo is an annual convention devoted to the industry of creating, delivering, and profiting from unique digital content delivered via the Internet. I hope this doesn’t kill it. Many podcasters are still doing this for the love of it and the expense of Vegas versus the low end cost of Ontario may push a few not to come out. Vegas to me is more corporate. Final Taxi thanks for the comment. We’re going to work very hard to keep the community aspect of the event alive and in terms of expenses we actually think they will go down as flights are cheaper into Las Vegas, especially for East Coasters. Also our room block at the Hilton is $115 a night – just $15 more per night than our current rooms in Ontario.